We hinted in our A Very Merry MeTV Holiday schedule that MacGyver is coming to The MeTV Network, now we have some more details. First up, that holiday episode will air Sunday, Dec. 18 at 2pm. Then, MacGyver will make his way inside the regular MeTV schedule starting Monday, Dec. 19 at 5:00pm & 9:00pm. 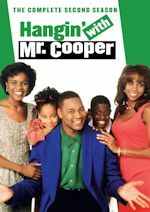 The series will air each weeknight at 5pm and in primetime at 9pm. MacGyver currently also airs on cable on Esquire TV on Wednesdays from 12-8pm and also weekdays on Cloo. The show follows secret agent Angus MacGyver, played by Richard Dean Anderson, who works as a troubleshooter for the fictional Phoenix Foundation in Los Angeles and as an agent for a fictional United States government agency, the Department of External Services (DXS). MacGyver originally aired on ABC for seven seasons from 1985-1992. The series is owned by CBS Television Distribution and of course as you all know CBS has started a new MacGyver series on Friday nights on CBS. Pull up a chair for more food, fun and friends on the new season of Cooking Channel's Dinner at Tiffani's, as Tiffani Thiessen entertains family, former castmates, and star-studded guests for intimate dinner parties. From mouthwatering Mediterranean meals to French feasts, and from classics dishes with a modern twist to backyard BBQs, Tiffani showcases her culinary skills for preparing crowd-pleasing meals, and her talents for throwing effortless get-togethers. Don't forget to RSVP for more delicious dishes, entertaining stories, and laughs that fill the ten new episodes, beginning on Sunday, January 8, 2017 at 8pm ET/5pm PT. Special guests for this third season of 10 episodes include Matt Bomer and Tim DeKay, Bree Turner and Marla Sokoloff, French Stewart, Nicole Sullivan and Nate Berkus, Sara Rue and Ross Mathews, Ethan Embry, Sunny Mabrey and Ashley Williams, Marguerite Moreau and Chris Redman, Bill Bellamy and Eric Close, Daisy Fuentes, Constance Marie and Cynthia Watros, and finally Tim Meadows and Missi Pyle. Mama's Family is coming to Logo! 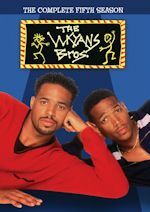 The popular '80s sitcom is joining the lineup beginning Friday, December 2, 2016 at 9:00pm. 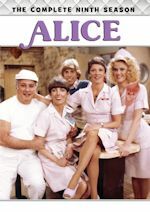 The sitcom joins recent addition Green Acres and Married...with Children on the line-up that also features Three's Company, All in the Family, Bewitched, I Dream of Jeannie, Roseanne, Will & Grace and The Golden Girls. As with Logo's other sitcoms, it will air blocks. Mama's Family debuts with an 8-hour block from 9pm-5am on Friday night. It will also air the next day on Saturday, Dec. 3 from 9am-6pm. The hit series will air Fridays and Saturdays in blocks each week, with times varying, so keep checking your listings for exact timings. 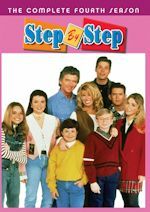 You can also still watch the series each weeknight at 6:00pm & 6:30pm on The MeTV Network. In Mama's Family, Vicki Lawrence as Thelma Harper and her spinster sister Fran open their home to Thelma's recently divorced son Vinton and his teenage son and daughter. It's quite an adjustment for everyone, especially the cranky, argumentative Thelma. 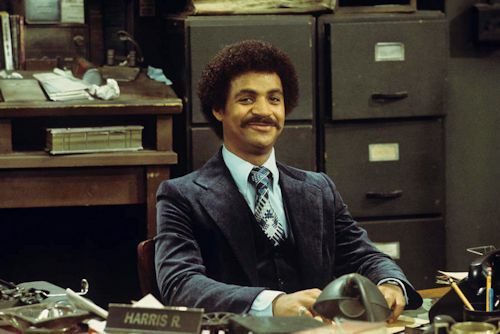 Actor Ron Glass, who was best known for his role as Detective Ron Harris in Barney Miller, has died. He died of respiratory failure in Los Angeles on November 25. Mr. Glass was 71. 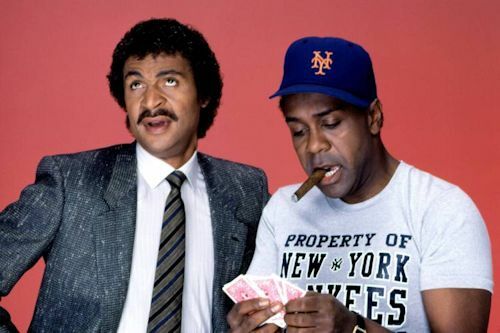 Mr. Glass was a talented and versatile actor. He was wonderful in everything he appeared in during his long career. We thank him for all the laughter and entertainment he brought us. He will be greatly missed. 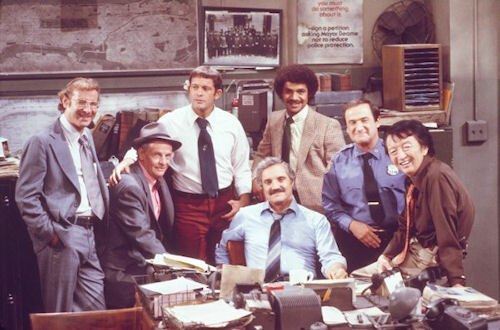 Share your memories on our Barney Miller message board. View photos in our galleries. Households: #1. ABC 6.06/10 rating/share (+46% in rating from first four nights week 9); #2. CBS 5.45/9 (+4%); #3. NBC 4.93/9 (-10%); #4. Fox 1.59/3 (-36%); #5. The CW 1.12/2 (+6%). Total Viewers: #1. ABC 9.509 million (+48% from first four nights week 9); #2. CBS 8.790 million (+6%); #3. NBC 8.172 million (-7%); #4. Fox 2.553 million (-35%); #5. The CW 1.840 million (+8%). We have previous week's final ratings, Week 9 (11/14/16-11/20/16, LIVE+SD). NBC won the week in A18-49, boosted by SNF, and did a 2.33 rating. CBS was #2 with a 1.50 rating powered by an NFL overrun. ABC was #3 with a 1.47 rating, while Fox did just a 1.03 rating. Among total viewers, CBS was #1 with 8.869 million, with NBC #2 at 8.499 million. ABC was #3 with 6.138 million and Fox at #4 with only 3.105 million. For season to-date (9/19/16-11/22/16, LIVE+SD), NBC is 1 in A18-49 with a 2.15 rating, followed by Fox at #2 with a 2.03 rating, which is heavily inflated by a high 7-game World Series. CBS is #3 with a 1.71 rating and ABC at #4 with a 1.40 rating. Among total viewers it is CBS #1 at 9.035 million, followed by NBC at #2 with 7.819 million, World Series boosted Fox still at #3 with 6.622 million and ABC at #4 with 5.976 million. SNL Thanksgiving NBC 9:00PM 5,375,000 6,112,000 (737,000) 1.60 1.23 0.37 9-11P vs. Chicago P.D.